Premier Li Keqiang said on Wednesday that China has taken the initiative to phase out excess production capacity through supply-side structural reform, thereby contributing to the international community. "Overcapacity in some industries, which has resulted from quantitative easing measures taken by many countries after the (2007-08) global financial crisis, needs to be addressed through resolute efforts by the international community," Li said. He spoke when meeting with global business leaders and media representatives on the sidelines of the Annual Meeting of the New Champions 2017. The event, also known as Summer Davos, is hosted by Dalian in Liaoning province. 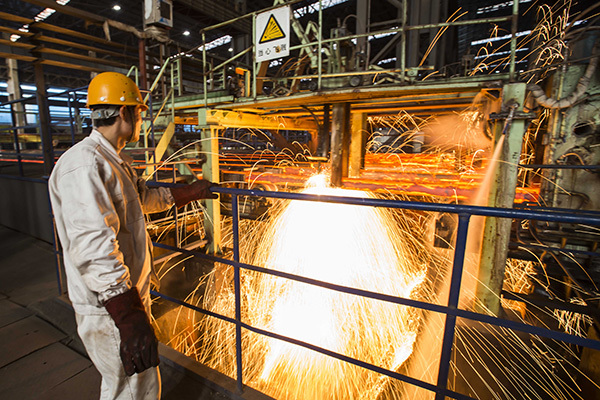 Last year, the country eliminated more than 65 million tons of steel production capacity and 290 million tons of coal capacity, beating that year's targets. Li said the country's reforms need the participation of foreign capital, companies and wisdom. "Our reform has always run parallel with opening-up. ... We welcome foreign firms to come to China and participate in corporate mergers and reorganization," he said. The premier also vowed to further ease market access for foreign companies in the service sector and to use negative lists to manage the companies. Support given to domestic companies under the rules of the World Trade Organization will be applied equally to foreign-owned companies registered in China, he said. A negative list is a list of areas where investment is prohibited; all other areas are presumed to be open. Foreign direct investment in the Chinese mainland grew by 4.1 percent in 2016, with strong investment in the service sector, according to the Ministry of Commerce. During the meeting, Alex Molinaroli, chairman of the board of the US company Johnson Controls, asked about challenges facing the Made in China 2025 strategy. The premier said implementing Made in China 2025 also provides a remarkable market opportunity for foreign and domestic companies because Chinese companies need to improve the quality of their products by introducing better techniques and equipment. "To achieve that purpose, we have to work with developed economies. For example, we have started cooperation with Germany's Industrial 4.0 strategy as well as the United States. There will be more equipment and technologies to be introduced from overseas to the Chinese market," he said. Marc Benioff, chairman and CEO of the US company Salesforce, said the premier was "really very good at asking businesses and CEOs to invest in China". He called China's recent efforts in investment facilitation "very impressive and exciting".